My birthday cheeses … or what was left over the next day. I love birthdays, I love the rituals and the traditions. It was mine last week, so I ventured out into the storm to go to the local cheese mongers for my annual ‘Birthday Cheese’… I say annual ‘cos I did it last year too – but hey, that’s how traditions start isn’t it? 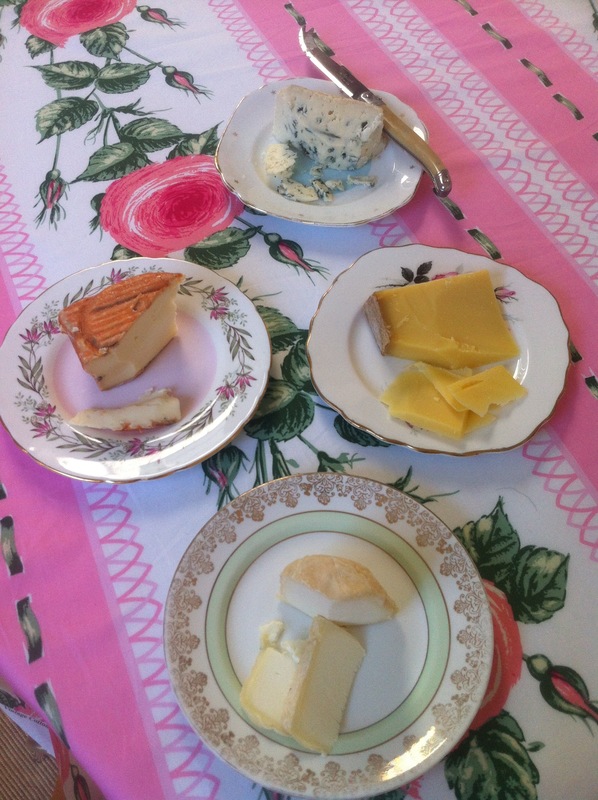 My Birthday Cheese expedition is a trip of delicious indulgence to mark another year alive. 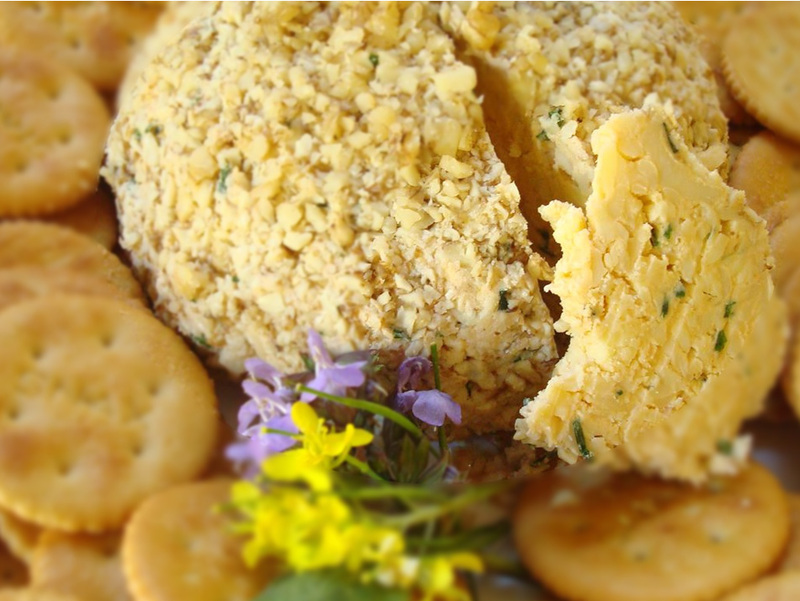 You’ll have to forgive my pictures of half eaten cheeses, the camera didn’t come out ’til the day after. 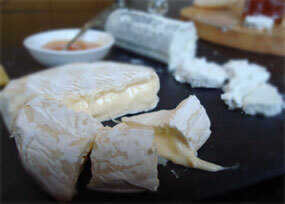 Delicious Chabichou… cute little mounds of goat’s cheese. At times like this I love shopping for cheese on my own, no rolling of eyes as I try yet another piece, no barely masked hints that enough time has been spent smelling, tasting and extolling the virtues of the cheese. I think this has got to be first rule of Birthday Cheese. Go alone, let no one distract you from your important mission. If that’s rule one, then rule two has got to be pay homage to the Cheese. 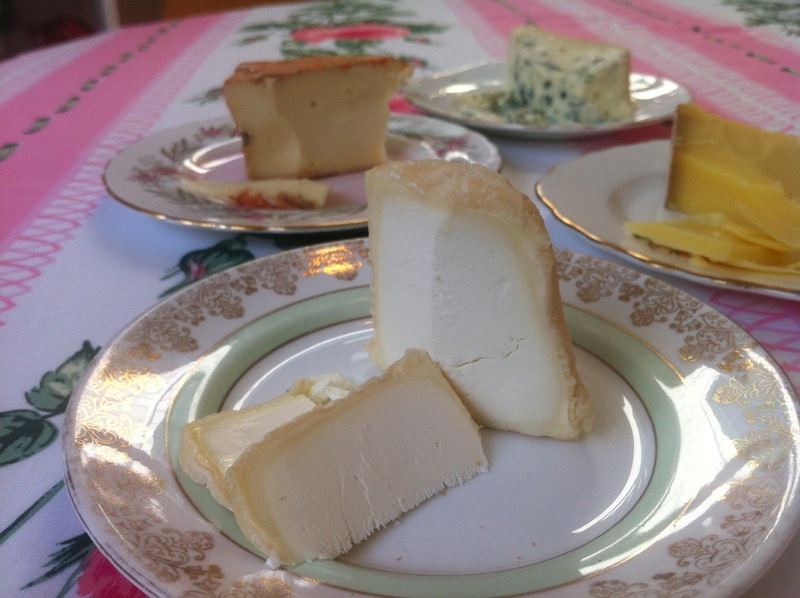 Like each of us birthday girls, much time and love went into these cheeses so I taste purposefully, lingering over each sliver, honouring it with attention as I try my way through their selection. And going somewhere you can taste the cheese has got to be a third rule. Well OK you can’t always get to somewhere you can taste, but you can at least approximate by carefully picking up each wrapped cheese, gently cradling it in your hand to get a sense of how ripe it is. I find taking a good deep smell of wrapped cheese can yield surprising results. 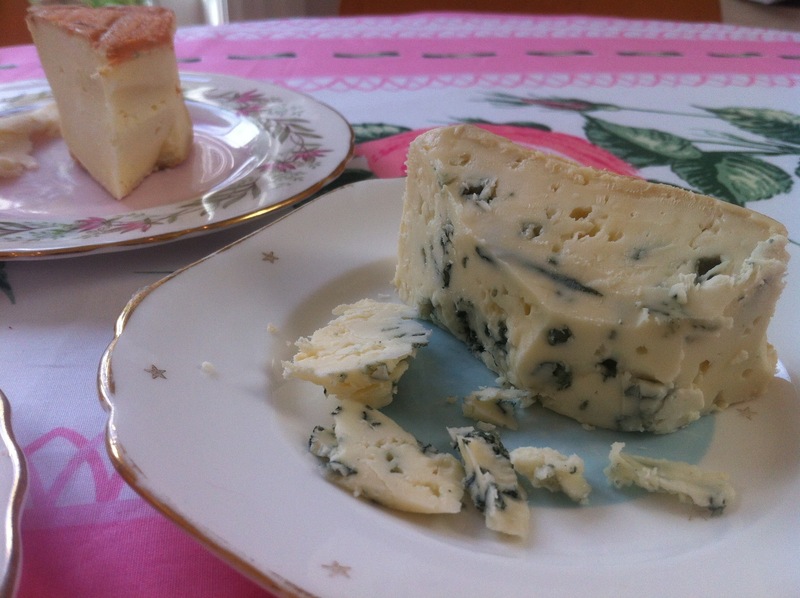 Mmm the best Roquefort they had – I love the King of Cheeses and a divine Taleggio behind. After that I take my treasures home, delighting in how they stink up the car, bus or the bag. Don’t put them the fridge, let them breathe and relax in preparation for the Birthday feasting. Superb! So there my foodie friends, a little insight into me. I encourage you to take a little time at your birthday to treat yourself to the best of what ever tickles your fancy, cheese, wine, chocolate, beer or whiskey – whatever. 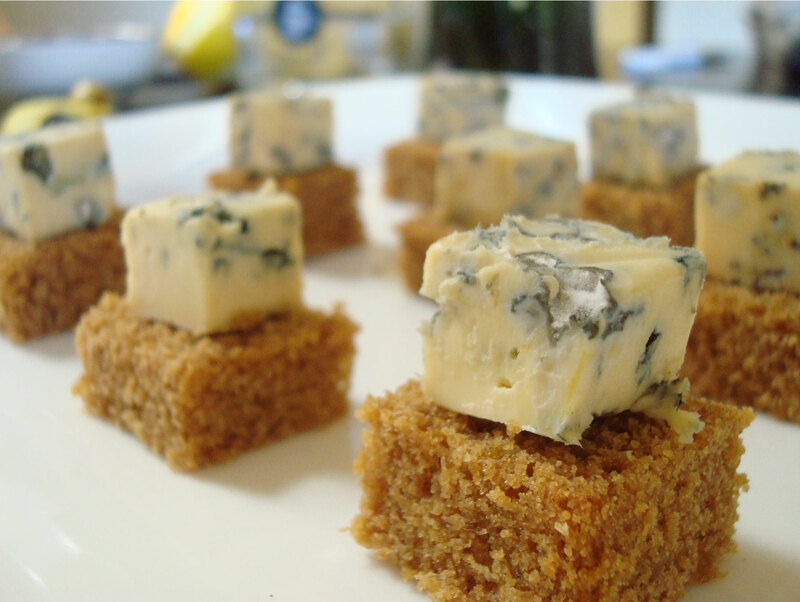 Put ’em on pretty plates or in fancy glasses and voila! A birthday treat to indulge, savour and enjoy, knowing you’re worth it. One birthday guest brought a plate of delicious blue agave syrup roasted pears that complemented the cheese perfectly…yummm! Great party Lucy, great cheese! 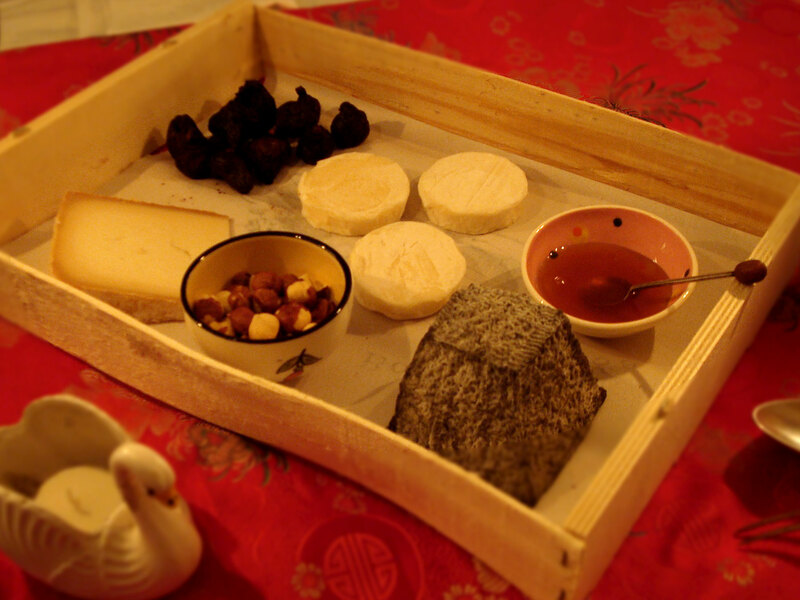 Thanks Kriselle – mmm those pears were divine! I think the idea of birthday cheese is splendid! Happy Birthday! Thank you Rebecca. Now my birthday is over I’ll need to find a different excuse to eat loads of cheese!